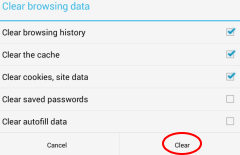 Here's how you can clear cookies, cache and browser history from your Google Nexus 7. This process is shown using Chrome, but the same method works for other browsers. 2. Press the Menu icon at top right. 5. 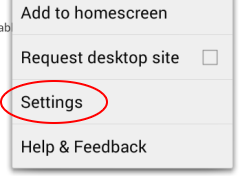 Press Clear Browsing Data at top right. 6. Select the items you want to clear, then press Clear.